Join ARN for this live webinar on Thursday, June 13, 2019 at 1:00pm CT/2:00 pm ET with Michelle R. Wild, MA, President & CEO, Brain Education Strategies & Technology, Inc. 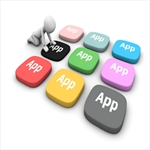 Describe how apps can be used in the cognitive rehabilitation process. Identify at least 3 different ways each app can be used to help within the rehabilitation continuum. Describe the importance of systematic instruction when conducting app training. The Association of Rehabilitation Nurses is accredited as a provider of continuing nursing education by the American Nurses Credentialing Center’s Commission on Accreditation. Save $ and get the bundle. Three webinars for the price of two! Get this webinar for FREE when you buy the two upcoming CARF webinars! · “How apps can be used in the cognitive rehabilitation process and describe the importance of systematic instruction when using apps for training. All participants are all eligible for 1.25 credits, via the live or recorded versions.